Dental X-rays are often part of a regular dental checkup. Learn how they help your dentist to monitor your oral health. Depending on your oral health history and your dentist’s preferences, you will probably need to have dental X-rays taken from time to time. Dental X-rays allow your dentist to more closely monitor the health of your teeth and gums, so that changes and problems can be detected early, when treatment is most effective. Dental X-rays are special images that allow your dentist to get a closer look at some of the structures inside your mouth, including your teeth, the roots of your teeth, your bite, and your facial bones. 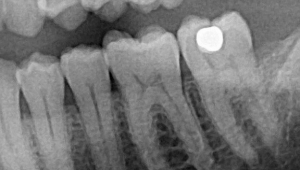 The process involves placing an X-ray film in a piece of cardboard or plastic, which your dentist will ask you to bite down on to hold the film against the area he or she wants the X-ray to capture. Depending on how many angles or areas of your mouth your dentist wants to see on X-ray, this may be repeated several times. While the X-ray pictures are being captured, you will wear a protective apron to shield your body from the X-ray machine’s radiation. Who Should Get Dental X-rays? If you’re seeing a particular dentist for the first time, there’s a good chance that he or she will want to take a set of dental X-rays, unless you can provide the dentist with copies of recent X-rays. Your dentist will use these initial X-rays to evaluate your oral health, look for gum disease, and have a basis for future comparisons. Your dentist will then determine how often you need follow-up X-rays to monitor for changes in the health of your gums and teeth. The interval at which you receive follow-up dental X-rays will depend on your age, overall oral health, and risk of having dental problems in the future. X-rays are one of the most commonly used tools for medical screening and diagnosis, but they are not without risks. The most worrisome issue associated with dental X-rays, as well as other types of X-rays, is a small increase in the risk of developing cancer, which is associated with exposure to radiation. The more X-rays you get throughout your lifetime and the younger you are when you have the X-rays, the higher your risk of developing cancer. There is also evidence that women are more susceptible to developing cancer caused by X-ray radiation exposure than men. Bring a copy of previous X-rays to your new dentist to avoid having unnecessary, repeat X-rays. Ask that a lead apron or other protective shield be used when you are getting an X-ray. Inquire about E- or F-speed film for X-rays, which are faster than conventional D-speed film, and will reduce the radiation dose. You should also avoid having dental X-rays if you’re pregnant, since there may be a risk to your unborn baby. In cases where a dental X-ray is recommended even though your dentist knows you are pregnant, keep in mind that the radiation exposure from dental X-rays is very low, and that your oral health is important for the health of your baby as well.